Saturday was an interesting day to say the least for Colorado Rockies’ prospect Josh Fuentes. Upon waking up in Albuquerque, New Mexico, the 26-year-old infielder was informed that he was called up to the big league roster due to an injury to Ryan McMahon and needed to report to Denver promptly. Thing is, there were no flights from Albuquerque to Denver that day, so Fuentes hopped in his car and drove six-hours up I-25 on his road to the show. Good thing he was able to daydream when he had the chance because as soon as he entered downtown he was greeted with Saturday traffic and streets jampacked with Rockies’ fans making their way to 20th and Blake. Fuentes did not have much time to adjust to his surroundings as he arrived just minutes before the first pitch. Despite the madness upon arriving, Fuentes was able to get dialed in rather quickly. Fuentes wound up making his debut in the Rockies’ 7-2 loss versus the Los Angeles Dodgers, earning his first major league at-bat when he entered the game in the eighth inning. Fuentes ripped a 1-2 pitch into left field for a smooth base hit and a dandy start to his professional career. Welcome to The Show, Josh Fuentes! First @MLB hit in his first #MLB at-bat — a pinch-hit single for the @Rockies' No. 11 prospect. A moment he'll never forget. It was a fulfilling moment for Fuentes as just a few years ago he was contemplating if he wanted to continue playing baseball altogether. He recalled being down 0-2 during an at-bat in a game in West Virginia, thinking that game would be his last. Fuentes battled back and wound up hitting a home run which followed with a double later in the game. The two big-time hits changed Fuentes’ career path completely as he went from the brink of retiring, to subsequently making his way to the big leagues. Interestingly enough, Fuentes was not even supposed to be playing that day in West Virginia. He was only in the lineup due to an injury to top prospect Brendan Rodgers. As Fuentes put it, everything happens for a reason. This year was set to be a big year for Fuentes, the cousin of phenom Nolan Arenado, as he was in line for extensive playing time in the spring. Unfortunately, Fuentes suffered an injury to the hamate bone in his hand and missed a majority of Spring Training. The timetable for the recovery was initially 4-6 weeks, but Fuentes was determined to get back on the diamond as soon as possible. Not only did Fuentes come back rather quickly, but he also picked up where he left off following a superb 2018 campaign. Fuentes was the MVP of the Pacific Coast League last season, mainly due to his performance at the plate. He hit .327/.354/.517 in 551 at-bats last season for the Albuquerque Isotopes. He has always been a solid hitter, but his emergence as a lethal presence in the lineup is relatively new and something he attributes to his maturation as a player. The Rockies have been riddled with injuries this season with both McMahon and Daniel Murphy currently on the injured list and David Dahl out of the lineup for the time being. The surplus of injuries will result in extended playing time for Fuentes. So far Fuentes has appeared in three games for the Rockies and has recorded a hit in two of the three. Additionally, he was the starting first basemen in Colorado’s 8-6 loss to the Atlanta Braves Monday night. There was a cool moment in the sixth inning of the ballgame where the Rockies retired the side on a cousin-to-cousin double play. 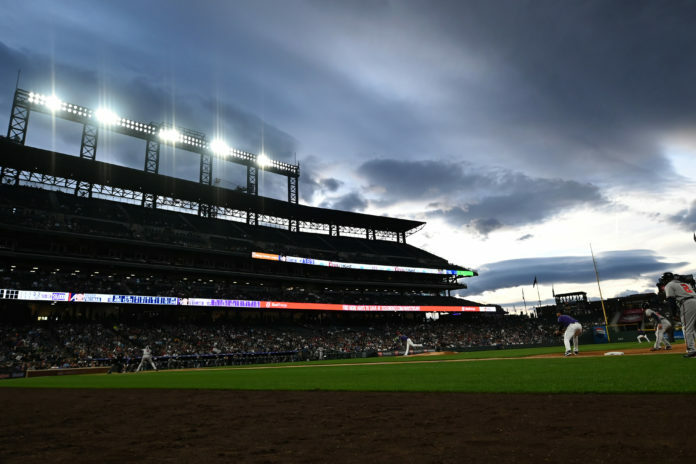 The Rockies are off to a dreadful start in 2019 and are looking to get contributions from anybody at this point. Fuentes, whose playstyle is very similar to Arenado’s, has the potential to significantly contribute and establish his presence at the major league level due to the current slate of injuries. Fuentes is a scrappy player who has had to earn his keep every step of the way so far in his career. He seems ready for the moment and has already blossomed once in his career when given an opportunity. Maybe, for Fuentes, everything does happen for a reason.